Larus cachinnans 1CY 70P6 December 08 2010, Gneixendorf - Krems, Austria. Picture: Wolfgang Schweighofer. 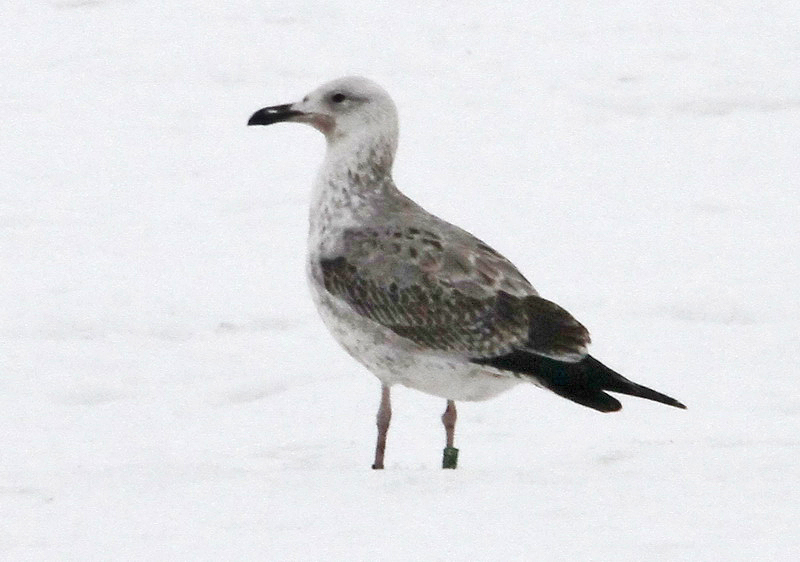 1CY Caspian Gull with green colour-ring from Poland. Green 70P6 and metal Gdansk DN 25376, ringed at Kuznica Warezynska Reservoir,	Dabrowa Gornicza,	on June 06	2010. The ringer was Pawel Kmiecik, who tragically died in 2012. May we read many colour rings from his project, to let his efforts and great work continue in future so it will serve as references for those interested in the same birds as Pawel loved to spend his time on. 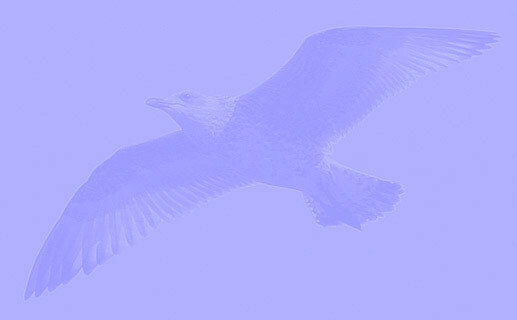 No coverts replaced in post-juvenile moult. White head. Last 2nd gen scapulars plain grey.